Note: Asunder is the second book in the Newsoul series, and the following summary may contain spoilers. To read my review of the first book, Incarnate, click here. In the first book of the Newsoul trilogy, Incarnate, Jodi Meadows gave us a fresh take on a reincarnation story with a great blend of fantasy and romance. Asunder continues this; inside the gorgeous cover was a story that raised the stakes and made me fall for Sam all over again. Ana is coming to terms with her life as a Newsoul, but that doesn't mean that everyone is. She is still seen as new and unknown by some people, and so it is easy to blame her for the events of Templedark. Despite the hostility she faces, however, Ana wants to help the residents of Heart. With Sam, she works to find an explanation for what happened during Templedark as well as a way to handle the sylph. Ana begins looking into research and histories, questioning long-held beliefs about Janan. But what she finds could change the way everyone thinks about life forever. However, some people don't want anything to change, and they will make sure their voice is heard. And if that isn't enough, Ana has one more question to answer - could she really be in love? 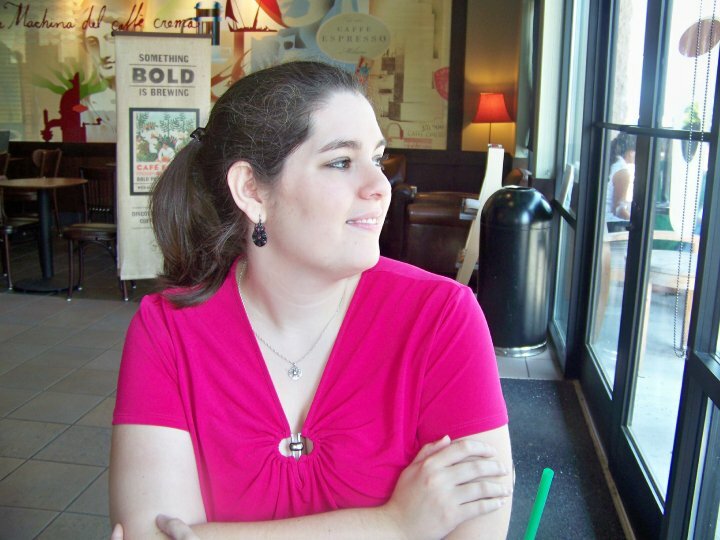 As I started Asunder, I was excited to be back in the world Jodi Meadows created. The world of Heart, though the city itself has its problems, is also an idyllic setting and a good backdrop for the story that unfolds. In Asunder, we get to delve deeper into this world and its history, which I enjoyed. Some of the questions from the first book begin to be answered, and I look forward to all of the answers in the final book of the trilogy. Beyond that, I loved getting to know the characters more. Ana is determined to thrive; she embraces the friends she's made, works diligently in her music lessons with Sam, and tries to do what she can for the community. Sam is once again wonderful in this book, and I couldn't help but love him. There is also a new character, Cris, who ended up surprising me in a good way. Even though there is some hostility toward Ana, I liked the sense of community that is also present rather than the book focusing exclusively on Ana and Sam. 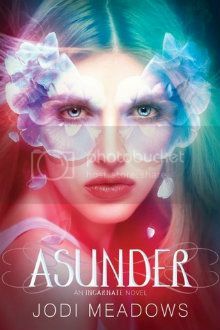 Asunder didn't seem to have any of the problems that are often found in sophomore books. Instead, everything about the story intensified. Once again the writing was beautiful; I especially enjoyed some of the depictions of music that were scattered throughout the story. I do have to admit that I was occasionally frustrated with Ana and Sam, Ana for overthinking and Sam for being unnecessarily reserved and secretive, but I thought they both redeemed themselves by the end of the book. And with all of the new revelations that this book has, I cannot wait to see what happens in the final installment. Asunder is one sequel that you definitely want to read, and if you haven't read Incarnate, then what are you waiting for? Jodi Meadows has done a terrific job creating a unique fantasy world and story that is by turns sweet, shocking, and thought-provoking. The last book of the trilogy can't come soon enough!